Founded in 2003 by an Israeli who wanted to share authentic foods with other countries, Aaron Gourmet Foods brings a wide variety of products to eclectic markets. Our aim is to bring our passion for fresh, healthy, fun and unique food products to you. We are on a mission to find noteworthy, tasty, nutritional foods from around the world, and to bring them to other parts of the world to try. Committed to quality, we hunt for great foods and research how and where they are made. Aaron Gourmet aspires to introduce these food products at competitive prices and to enjoy finding these products for you one bite at a time. Headquartered in New York, Aaron Gourmet Food's founder has 20 years of gourmet food experience including manufacturing, sales and distribution as well as consulting for companies looking to break into new markets. Fully experienced in taking products to success in new markets including Sabra Salads, Red Jacket Juice, Uno Bars and Blooms Candy, to name a few, Aaron Gourmet Food imports is a gourmet food supplier by way of import and export. Our newest venture is Halva Kingdom halva and Open Sesame tahini. Well known and sought after by Americans, we are excited to have now made it available in the United States. 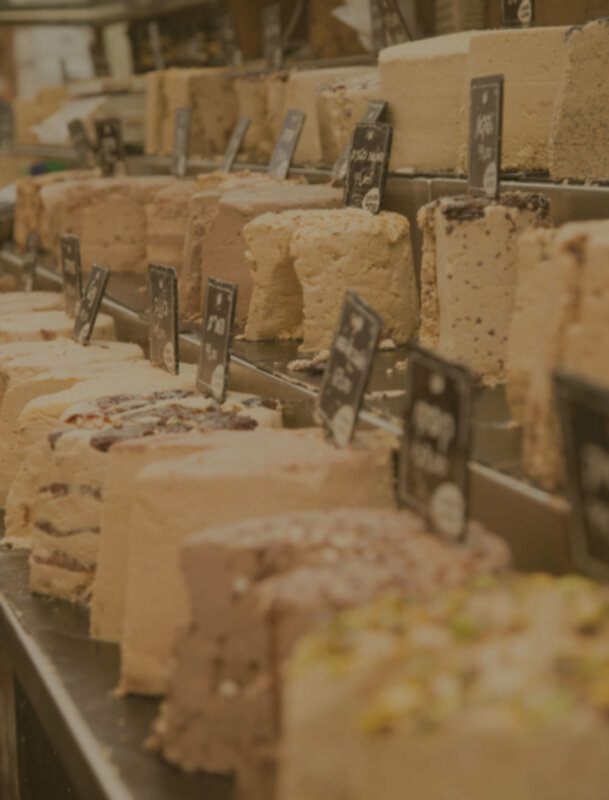 Delicious and loved by just about everyone who tries it, and rich in nutritional elements, the halva is a great snack or dessert. The tahini is delectable with rich flavor and at the top of the snack market. Both are hip, exotic items which make for festive, healthy additions to any meal, snack or party. Eat well; we believe our days are better where good food is involved! Thank you for visiting us. Please feel welcome to contact us anytime with questions or comments. And, if you have daydreams of a food from your own country or a country you've visited, please let us know about it!